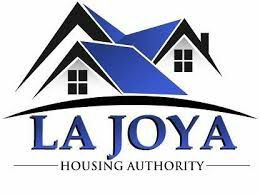 LA JOYA — Cristi LaJeunesse, who served as the acting executive director of the La Joya Housing Authority, was permanently appointed to the position during a board meeting Tuesday, just hours after a judge dismissed a lawsuit that was filed from their former interim executive director. Board members Maricruz Sifuentes, German Reyes and Sylvia Garces Valdez, unanimously voted to appoint LaJeunesse as the director for three years. She will be paid $4,000 per month, as well as travel expenses. LaJeunesse — who was brought in to the housing authority in January 2017 as a consultant to help train then-interim Executive Director Frances Salinas — will now be Salinas’ replacement. Salinas, who was named interim last year, was officially terminated by the board Nov. 1 because of a conflict of interest. She is the daughter of La Joya Mayor Jose “Fito” Salinas, and the mayor appoints the board members of the housing authority who oversee the executive director. Additionally, the board had concerns over the management of finances. During an Oct. 25 meeting, the board members were presented with a transaction list that included questionable expenses posted to their Low Rent program from Jan. 1 to Oct. 24. The list included expenses for restaurants, hotel stays, and various ATM cash withdrawals. Terminating Salinas proved to be difficult, requiring multiple attempts. The board had first voted to terminate Salinas during an Oct. 10 meeting, but actions taken at the meeting were voided after Salinas admitted she did not post notice of the meeting 72 hours in advance, which is required by the Texas Open Meetings Act. Shortly after being aware of the illegitimacy of that meeting, the board attempted to hold another meeting to fire her again, but Salinas filed a temporary restraining order to keep them from doing so. The TRO expired Oct. 29 after a court hearing, paving the way for the board to move forward with her termination. However, the case was not completely over until Tuesday afternoon, when Judge Albert Garcia of County Court at Law No. 6 dismissed the case, stating Salinas didn’t have a valid contract with the housing authority. To appoint LaJeunesse to the position, the board first made an amendment to their personnel policy to allow the board to hire from within, without advertising for the job, if there was already a qualified candidate within the agency. She will continue working remotely out of San Antonio but will try to be in La Joya at least five days out of the month. Although first employed with the La Joya Housing Authority in 2017, her relationship with the entity began in 2011. She conducted several trainings for the staff since then, LaJeunesse said. Her main priority now is the financials. Within a year, LaJeunesse will be up for review for merit or raise, depending on cost-of-living adjustments, and will be entitled to six-month’s severance pay in the event she is terminated.